Please read these Terms and Conditions ("Terms", "Terms and Conditions") carefully before using the http://www.freelyfunded.com website and Freely Funded - the debt free healing strategy (the "Program") operated by Shift Makers LLC ("us", "we", or "our"). Your access to and use of the Program is conditioned on your acceptance of and compliance with these Terms. These Terms apply to all who access or use the Service. By accessing or using the Program you agree to be bound by these Terms. If you disagree with any part of the terms then you should not purchase the Program. 30 days 100% Satisfaction Guarantee - If User has completed the entire program and hasn’t raised at least 10x the cost of the this course within 30 days, the Company will gladly refund User purchase. Refunds are credited only to the original source of payment. User must provide evidence of completion of program. Single Person Use - The program is limited to a single person use. User may share access to program with family or caregiver as necessary for the individual person’s use. A single user account cannot be used to provide access or benefit to multiple people. Not For Distribution - The program, in part or whole, may not be distributed. Length of Use - License to access the Program is limited to 6 months from date of purchase. Program has no obligation to extend that period. The program may include special offers to participate in webinars, closed Facebook groups, and recorded or live video calls. User agrees to not engage in attacking other users, moderators, or program developers. User agrees to maintaining the privacy and anonymity of all participants, moderators, and program developers. In the event that User violates this agreement, we reserve the right to immediately terminate any or all access to program, events, forums, online meetings, calls, etc. The company reserves the right to terminate service at anytime, for any reason, and without refund. Purchaser agrees to indemnify and hold harmless Shift Makers LLC, its affiliates, partners or operators. Purchaser’s information is considered confidential and will not be sold or distributed. Purchaser agrees to, and authorizes the following partners to make offers via email: Shift Makers LLC, Ryan D Luelf, The Cancer Shift, Form Ventures, and Stand Resolute LLC, and its managers. Program may contain links to third-party websites or services that are not owned or controlled by Freely Funded or Shift Makers LLC. Company has no control over, and assumes no responsibility for, the content, privacy policies, or practices of any third party web sites or services. You further acknowledge and agree that Company shall not be responsible or liable, directly or indirectly, for any damage or loss caused or alleged to be caused by or in connection with use of or reliance on any such content, goods or services available on or through any such websites or services. Company reserves the right, at its sole discretion, to modify or replace these Terms at any time. If a revision is material the Company will try to provide at least 30 days' notice prior to any new terms taking effect. What constitutes a material change will be determined at our sole discretion. 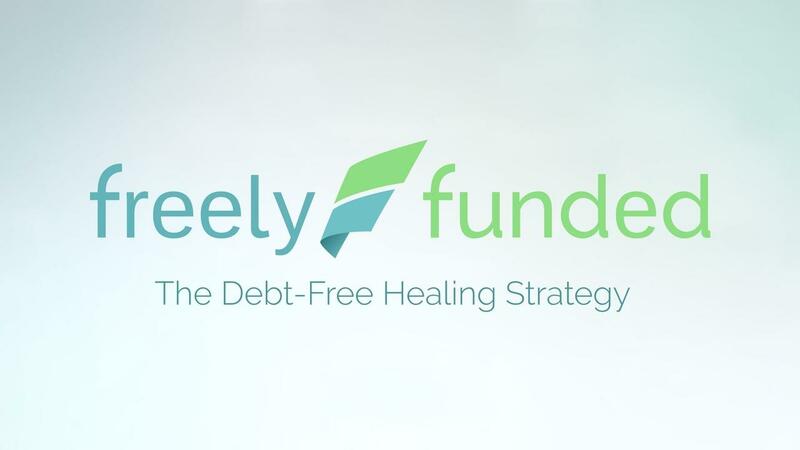 Freely Funded is a proven strategy to overcome the financial burden of healing. Through this video course and interactive workbook you will be inspired, challenged, empowered and equipped to raise the funds to heal on your own terms.